On 21 MAR 16 NEC-SE posted: The Kurds will take DOD monies and support but their hearts belongs to their first love, the Russians. The article continues: “Volunteers with the Kurdish group have warned of an exodus to other militias over the group’s left-wing views. 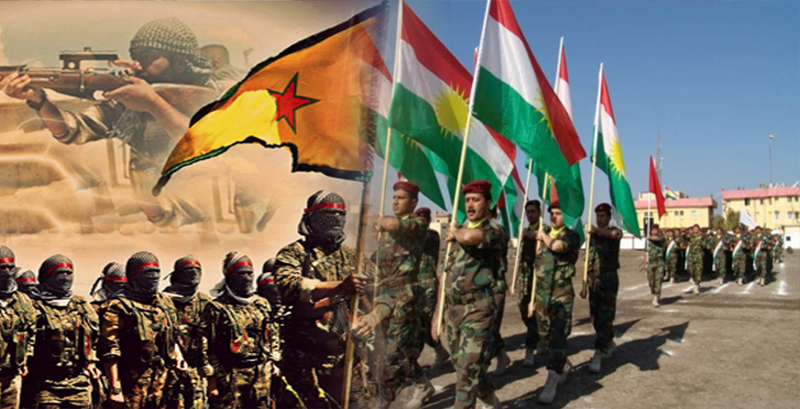 “Foreign volunteers fighting the Islamic State (IS) are leaving the Kurdish People’s Protection Units (YPG) and joining other militias due to the group’s left-wing socialist ideology. “Another British volunteer named Alan Duncan also said he had left the YPG, who are based in the Syrian Kurdistan region also known as Rojava, because of their leftist views and said he knew a number of other people were planning to leave soon for the same reason. “Many have instead chosen to join Dwekh Nawsha, a Christian militia in northern Iraq whose ideology chimes more with western Christian volunteers than the intensely secular YPG. “One Christian American volunteer, who called himself Brett, told Reuters that he had joined Dwekh Nawsha (which translates as ‘self-sacrifice’) in Iraq’s Nineveh province where Christian villages still held out against IS. “‘Here I’m fighting for a people and for a faith, and the enemy is much bigger and more brutal,’ the army veteran said, comparing it to his time with the US military in Iraq in 2006. He added that he was not afraid to die for his faith. As another NATO nation is staggered by ISIS attacks, Russia sends additional forces into Georgia. Why?